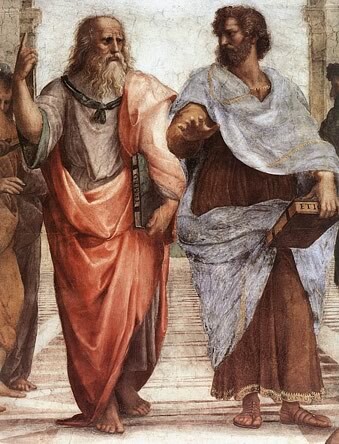 Aristotle’s mentor was Plato. Who’s yours? Seek out successful people to learn from. Image from outre-monde.com. A few weekends ago, I was searching for something to read and found a slim volume by Peter Taylor that had been gathering dust on my shelf. Taylor was the gifted short-story writer and novelist who won a Pulitzer Prize for Fiction and taught at U.Va. when I was an undergraduate. The book, “In the Tennessee Country,” was written in 1994, the year he died. It’s about a man obsessed with tracking down a cousin who has severed all ties with his family. It plumbs themes we have all grappled with in our own ways: separating ourselves from friends and family to start a new life, creating a new identity and escaping from the past. At the end of the novel, the narrator finds his long-lost cousin, but with that discovery comes the cold realization of his own failed ambitions as an artist. The lesson, it seems, is that in order to move forward, we must let go and move on, no matter how painful that may seem. I finished the book thinking of the ending of another novel, Joyce’s “A Portrait of the Artist as a Young Man,” where Stephen Dedalus also decides he must leave his old life behind to become a writer. A person below you to coach and keep you energized. A great figure of history who embodied this principle was Aristotle. Aristotle was one of the greatest minds to ever grace this beautiful Earth, but this was only so because he was constantly challenging himself and working to refine his talents. He exchanged ideas with other Greek philosophers in the “Academy,” learned from his mentor Plato and taught a young boy named Alexander…who would later become Alexander the Great. If you’re like me, you have plenty of people in your social and professional networks who fall into these three categories, but you probably haven’t consciously sought them out. I can think of times in my life when I definitely filled one or two of the essentials, but not all three at once. Think about the benefits of learning, coaching and exchanging ideas—all at the same time! All three really are important, and will keep you motivated and on your toes. So why not resolve to seek out some essential people in your life? It might just make a difference! 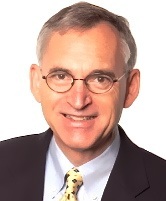 This entry was posted in Careers, Leadership and tagged Aristotle, Brenton Weyi, coaching, James Joyce, Jim Rohn, mentoring, Peter Taylor, reinventing yourself. Bookmark the permalink. Great article, Jay! It encourages me to begin to think about the types of people in my life and the category into which I think they would fall if any. In some cases there is a fine line and overlap. I will also think about which categories I might fill for others. Interesting! Another great post, Jay. Perhaps it goes without saying, but an essential ingredient of persons who so often help us most is a positive outlook: friends and family who cheers us on when we trip and fall or who stoke our courage when we try something new and little scary in our professional or personal lives. I agree. I have always mentored younger writers and have many peers…at my age, now mid-50s, and with decades of experience, it is very difficult to find someone with more experience to teach me. They likely exist but I don’t know any. It’s great that you are mentoring younger writers. I applaud that! A little sad, though, that there’s no one to mentor you. Maybe in another area of your life or career? My peers help me. That matters.